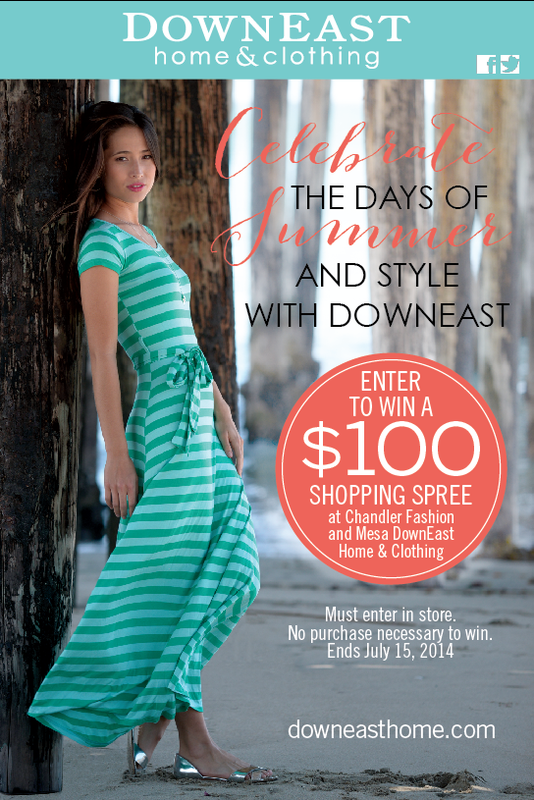 Celebrate the Days of Arizona Summer Style with DownEast! Enter to win a $100 shopping spree at DownEast Basics at the Chandler Fashion Place Mall (3111 West Chandler Blvd, Suite #1188) or at the DownEast Home & Clothing located at 6912 E. Hampton in Mesa. Must enter in these two store locations only. Who wouldn't love an awesome shopping spree like this ? Comment below and tell me which store are going in to enter at ?